ENCORE provides top quality sound systems, dance floor lighting systems, and mobile microphones standard for every event. George is amazing! He was extremely attentive and went way above and beyond what I had expected from a DJ, including bringing us drinks and making sure we were taken care of the whole night. He kept us on our timeline (speeches, cake cutting, etc.) without being pushy. Everything felt very easy and relaxed. I highly recommend them. We have over 60,000 songs, from the classics to today's latest and hottest dance hits. If we don't have that special song you want, we'll get it! Thanks for doing a great job at our company holiday party! Your music selection was fantastic and everyone had a great time. We'll give you a call for our next event. Thanks again. Denver's premier disc jockey service providing the best in mobile DJ services at a reasonable cost. 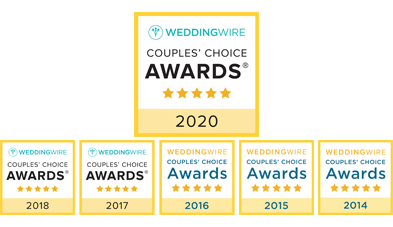 Weddings are our specialty, and we want to help make yours a huge success. We know your teen is the star of the night, and we will make your mitzvah full of lifetime memories! Celebrate with your coworkers and count on us to bring the FUN! © 2017 Encore Professional Disc Jockeys.